A generator remote start is usually obtained by using a switch connected to a controller or a an electronic module that governs the generator. The module drives the starter pilot relay and disconnects it when the engine fires. This is a critical issue. A good module, so called AUTO START MODULE have to correctly detect the condition when the engine is running. The risk is to engage the starter when the engine is running or to totally fail to start the engine when necessary. 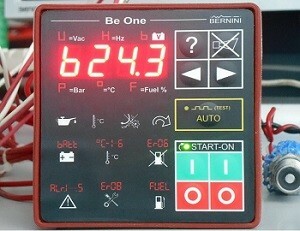 The Bernini Design Auto Start Modules detect the engine running conditions by analyzing the voltage of the belt alternator, the frequency and voltage of the main generator, oil pressure and, if available, a magnetic pickup or the RPM output of the belt alternator. These module can retry to start the engine a programmable number of times. The auto start module is supplied with factory programming, but you can adapt the settings to your particular engine if necessary. On the left side you see the Be124 Auto Start Module. This is one of the most complete high-performances electronic controller that offer several Generator Remote Start features. A basic, cost effective, auto start module can be build by using the Be1 AUTO START MODULE. 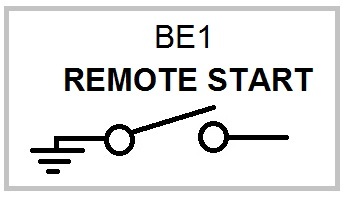 By adding two relays you can arrange a simple remote auto start circuit that work in all conditions. You can connect a simple switch to get a generator remote start. You can program the kind of the contact you are using: normally closed or normally open, depending upon your needs. When you choose a normally open contact, you are required to close the switch to start the engine. When you choose a normally closed contact, you will get an engine start when you open the switch. This is a safe way to get safety: in case you cut the cable, the engine will automatically stop. In case you want to configure a complex generator remote start you can use the RS485 serial interface. By using this, you can remotely start the engine using a computer connected with the RS485. The Be1 allows a maximum distance of about 1000 meters. To connect your computer you can use the MODBUS-USB adapter. In this way you can use your USB port. 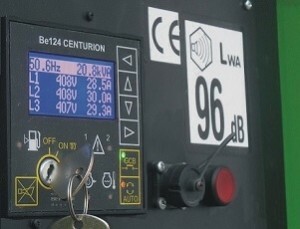 If allowed by your budget you can make a generator remote start by using the Be124 generator controller. The principle is the same. But, Be124 being an high-tech auto start module, will allow you an enormous amount of additional functions. 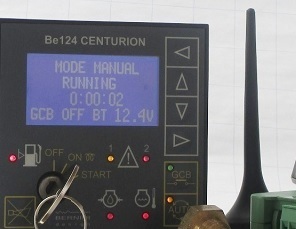 To learn more about BE124 visit the BE124 generator controller tutorial page. In case your generator works in extremely hard conditions, you can make a cost effective generator remote start by using the BE24 controller. This controller is particularly strong. You still have the option to program the polarity of the switch. To learn more about the BE24 auto start module visit the BE24 generator controller tutorial page. One of the most popular remote start is via an AMF module. The AMF (Automatic Mains Failure) detects the failure of the power utility. In this case the module will instruct the engine to start. This is done in a similar way as above. Normally the AMF controller features an output relay with dry contacts. When the power utility fails, the AMF controller will close the contact. When the power utility restores, the AMF module will open the contacts; the engine is required to stop. Instead of using a switch you can provide a Be16 gateway SMS decoder connected to the Be1 of Be124 controller. You can tart and stop the engine by typing special commands on your mobile phone. You can open the GSM BASED GENERATOR REMOTE MONITORING tutorial page to find out more. The Be24 does not feature the RS485 interface, so it does not support the GSM generator remote start feature. 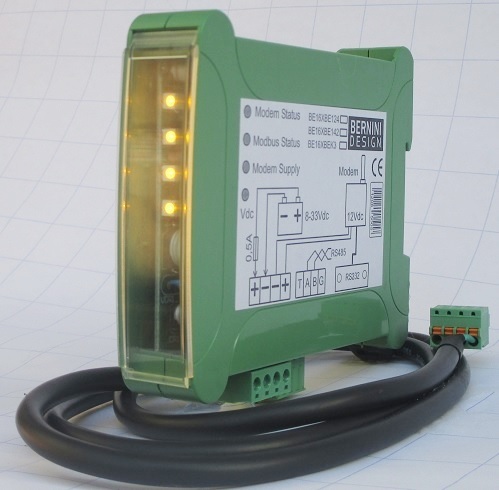 Instead of using a switch you can connect a MODBUS-USB converter connected to a Be1 or Be124 controller. You can start and stop the engine by using the free of charge software provided together with the Be1 or Be124 auto start modules. Open the MODBUS BASED GENERATOR REMOTE MONITORING tutorial page to find out more. The Be24 does not feature the RS485 interface, so it does not support the MODBUS generator remote start feature.